Loss of teeth, how does it affect you? A recent article published on WebMD found there is a link between tooth loss and early physical and mental decline. While this has not been definitively proven, the link could be used an early warning sign for people. It has been primarily found between those who are ages 60 years to 74 years old. Read more about it at: . Remember to schedule your regular cleaning and check up appointments. Do you know how much sugar you are having? 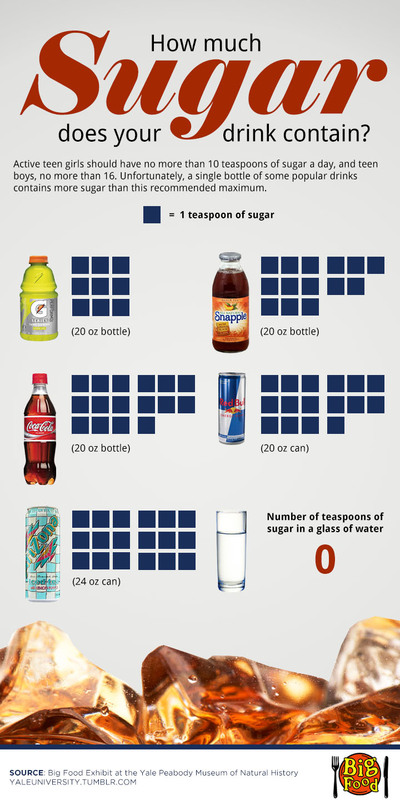 The above chart tells you how much sugar is in some of the common drinks we have. Looks like sticking to water is the best for your teeth.